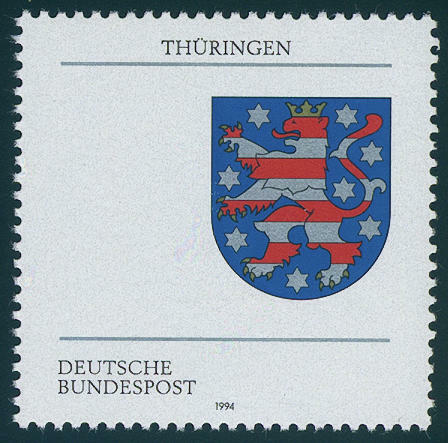 7051 Bl.22 Muster Block of wall 1990 on thick glossy paper with punched word \"sample\" in the sheet margin, fresh colors, in perfect condition mint never hinged a spectacular sample block, the from of delivery from only 20 copies the security printing plant Leipzig from 13.9.1990 comes. Important Federal Republic rarity also in the Michel special catalogue unlisted! Photo expertize Schlegel BPP. 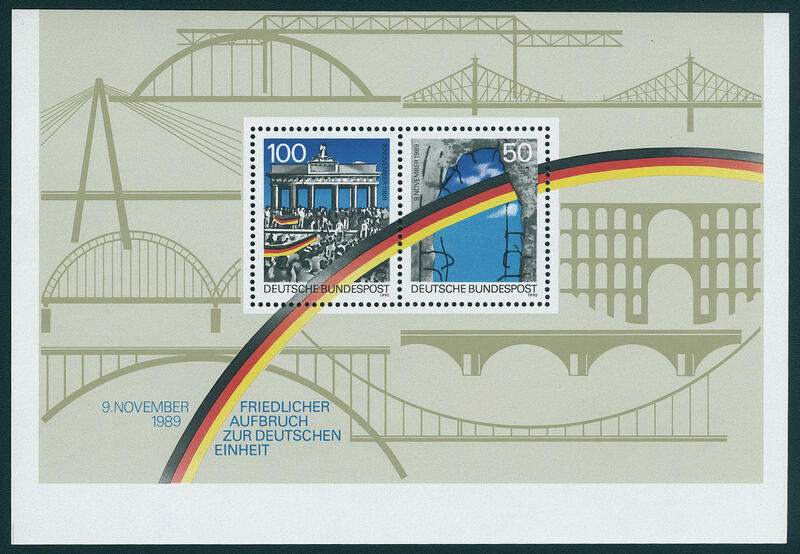 7052 Bl.22Abart Berlin wall souvenir sheet 1990 most intensive damaged in cutting, through it at the bottom with large white margin and above borderless, in perfect condition mint never hinged very decorative! 7053 1483FIII 100 Pfg. 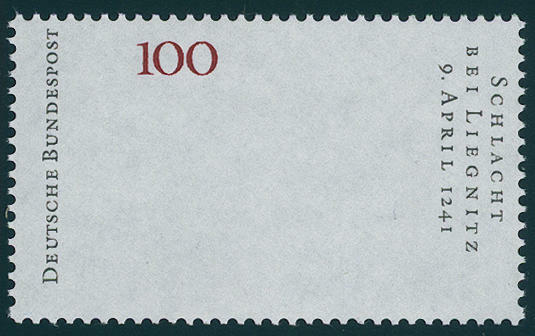 Kate cod 1990, vertical strip of three from upper margin, upper stamp normal, middle with partial missing printing the colour red, as well lower stamp with perfect missing red print, in perfect condition mint never hinged a spectacular varieties rarity! 7054 Bl.23Abart Boxing World Championships 1991, souvenir sheet with rare variety \"paraglider in the sky\", in perfect condition mint never hinged extraordinarily distinctive and exceptional! 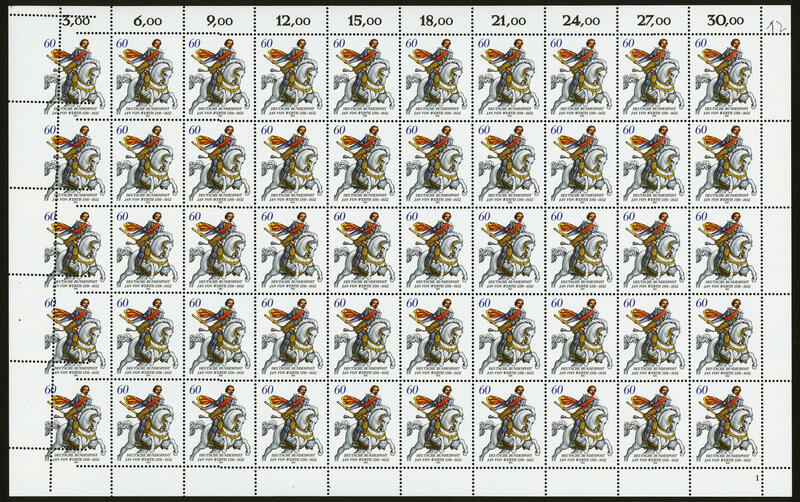 7055 1504Abart Jan from value 1991, complete original sheet of 50, as well the left stamps row all extremely with defective or badly placed perforation, in perfect condition mint never hinged spectacular, in this kind probably unique variety! Photo expertize Schlegel BPP. 7056 1511FI 100 Pfg. Battle by Legnica 1991, scarce variety \"all offset printing colours missing\", in perfect condition mint never hinged, photo expertize \"the condition is perfect\" Andrew Schlegel BPP. 7057 1528Uo 60 Pfg. 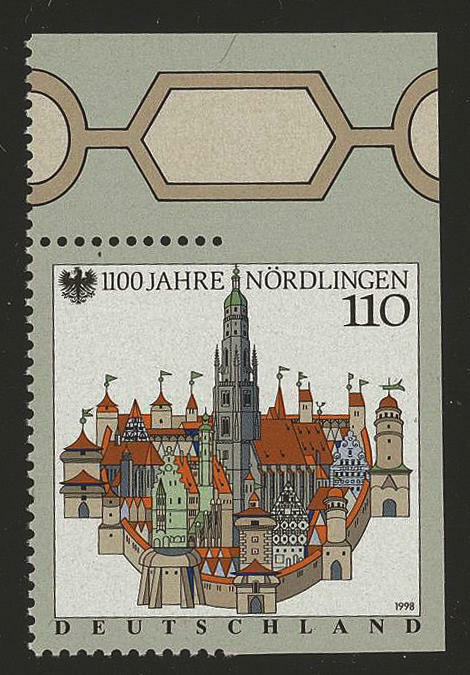 City rights 1991, corner margin block of four top left, the upper stamps above unperforated and lateral partially perforated, fresh colors and very well perforated, unfolded, in perfect condition mint never hinged very decorative unit of this scarce variety! 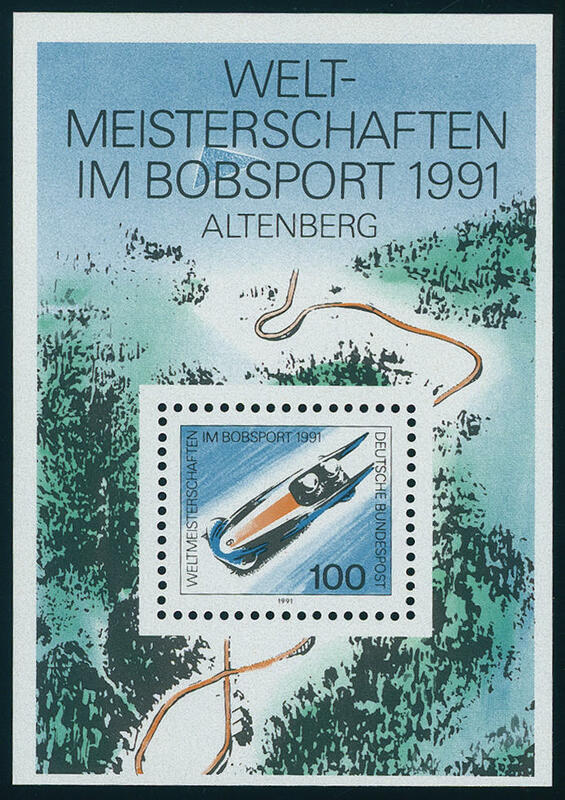 7058 Bl.24Abart Otto Lilienthal souvenir sheet 1991, sensational strip of three of three souvenir sheets horizontal se-tenant, fresh colors and in original size, unfolded and in perfect condition mint never hinged, without any signs. One of the most spectacular varieties rarities of the Federal Republic and a definitely top piece for the large special collection! According to Michel special catalogue is a horizontal pair and a horizontal strip of three have become known. (see Michel special catalogue page 1068). 7059 1613U 100 Pfg. 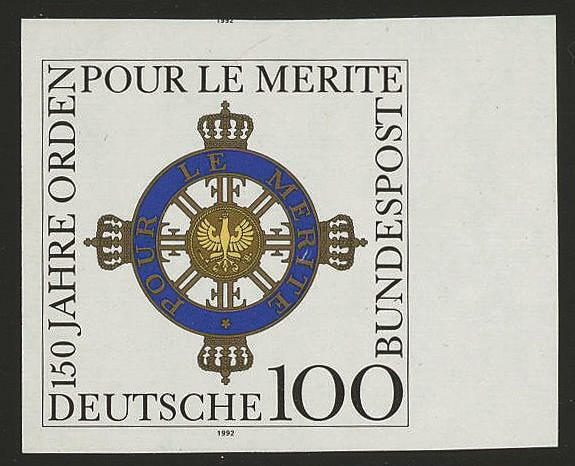 Decoration Pour Le Merite 1992, four sides unperforated from right margin of sheet, in perfect condition mint never hinged photo expertize \"the quality is perfect\" Hans-Dieter Schlegel BPP. 7060 1613U 100 Pfg. 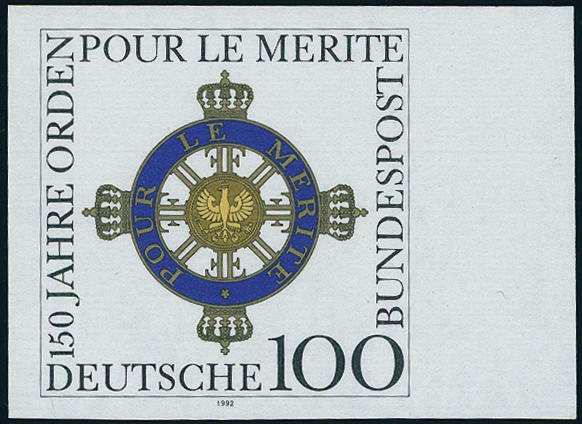 Pour le Merite 1992, four sides unperforated from right margin of sheet, in perfect condition mint never hinged, photo expertize \"the condition is perfect\" Hans-Dieter Schlegel BPP. 7061 1624U 60 Pfg. 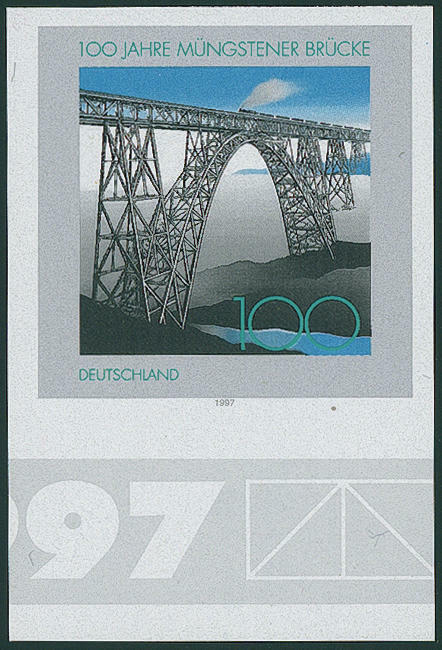 Asam 1992, four sides unperforated from right margin of sheet, in perfect condition mint never hinged photo expertize \"the condition is perfect\" Hans-Dieter Schlegel BPP. 7062 1646SD 100 Pfg. 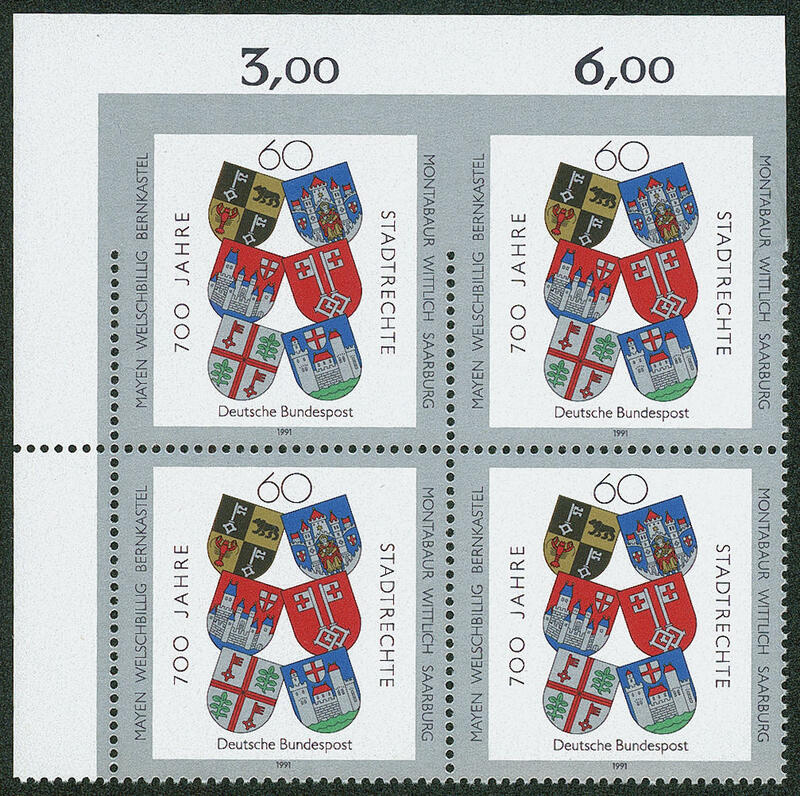 Isaac newton 1993, Hologram printing in the complete sheet to 15 values with accordingly folding map of the German post. Rare in this form also in the Michel catalogue unlisted! 7064 1756Pa 100 Pfg. 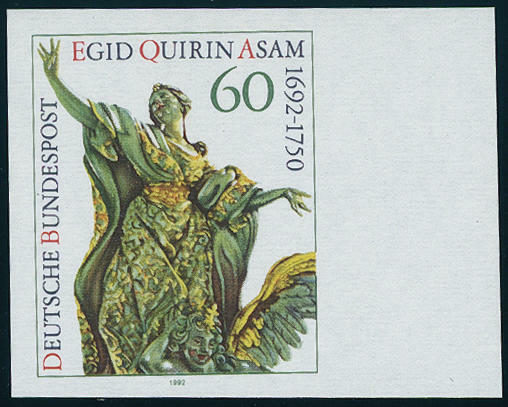 Woman 1994, vertical pair with on both sides margin, spectacular variety \"glued paper web by of the lower stamp on greenish paper\", in perfect condition mint never hinged one of the large varieties rarities of the Federal Republic. There are altogether only five examples have become known. Due to missing offers also in the Michel special catalogue only noted without price! Photo expertize Hans-Dieter Schlegel BPP. 7065 1773G 100 Pfg. Reichstag Worms 1995 with rare variety \"printed on the gummed side\" from the left upper corner, in perfect condition mint never hinged photo expertize \"the quality is perfect\" Hans-Dieter Schlegel BPP. 7066 1931U 100 Pfg. 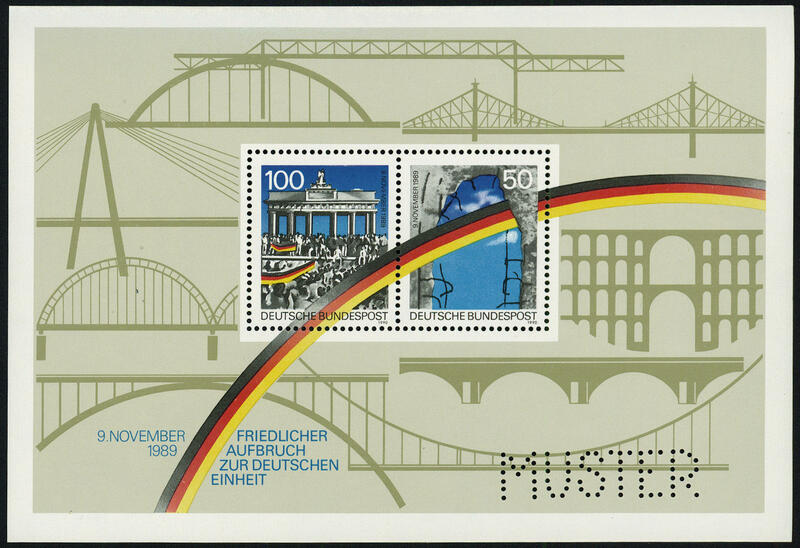 Müngstener bridge 1997, four sides unperforated from lower margin, in perfect condition mint never hinged Michel unpriced! 7067 1931U 100 Pfg. 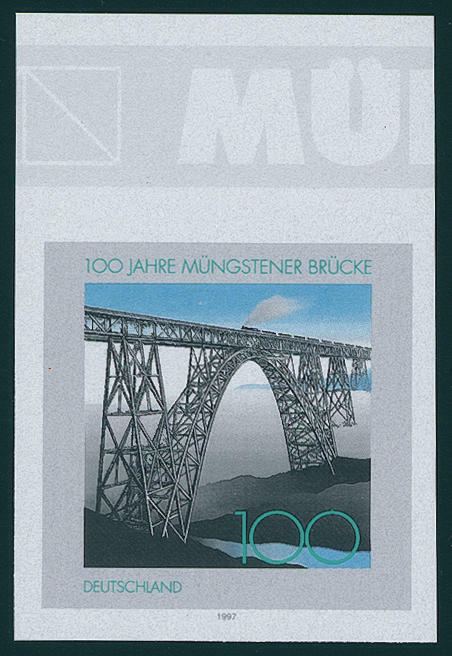 Müngstener bridge 1997, four sides unperforated from upper margin, in perfect condition mint never hinged Michel unpriced! 7068 1962Abart 110 Pfg. 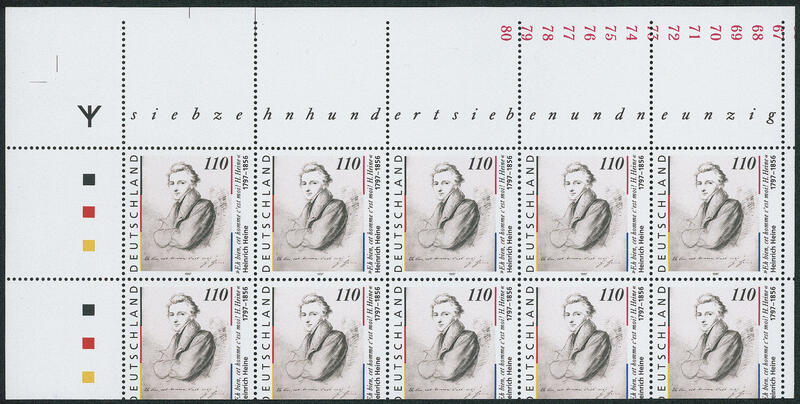 Heinrich Heine with runes, miniature sheet extremely strong damaged in cutting, through it above with edge printing the numerals 67-80. Very decorative! 7069 1965U 110 Pfg. 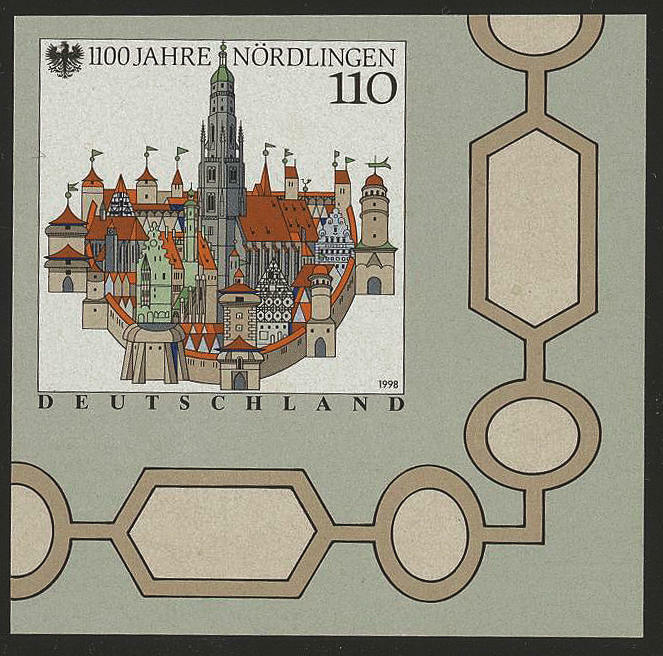 Nördlingen unperforated from of the right lower corner of the sheet, in perfect condition mint never hinged an attractive variety! Photo expertize Schlegel BPP. 7070 1965Ur 110 Pfg. 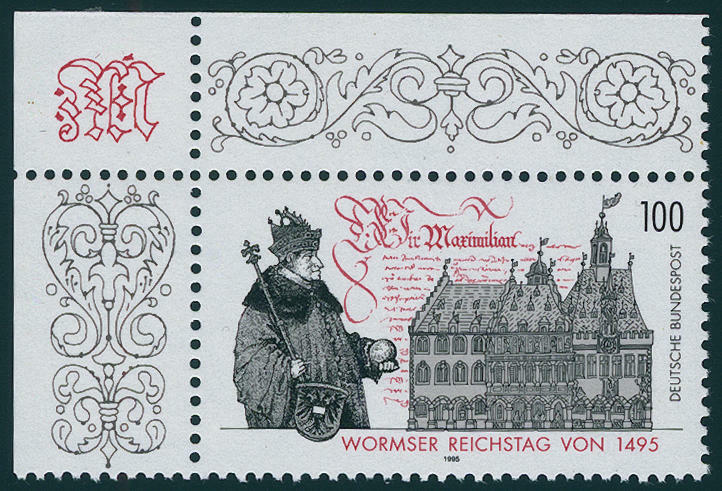 Nördlingen, upper margin copy right unperforated, as well above and at the bottom partially perforated, in perfect condition mint never hinged a scarce variety! Photo expertize Schlegel BPP.